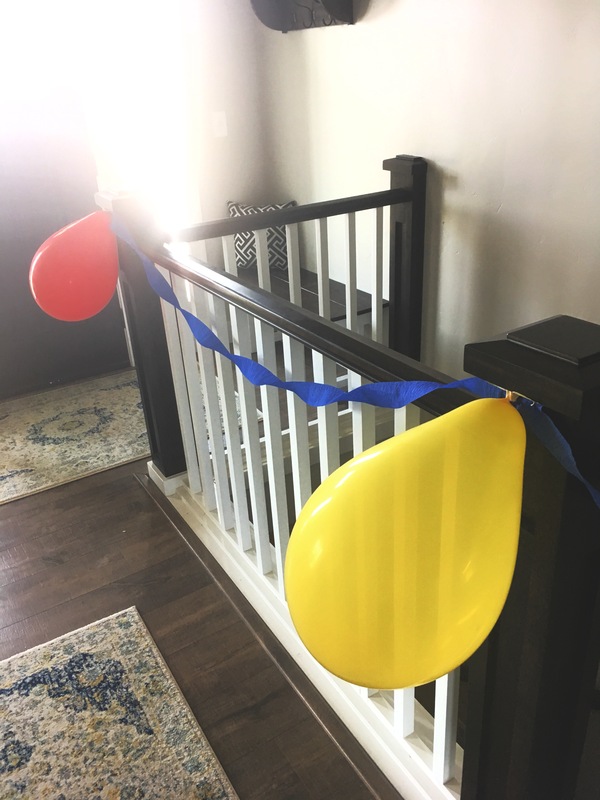 We had an exciting birthday at our house recently! My son turned six years old!. 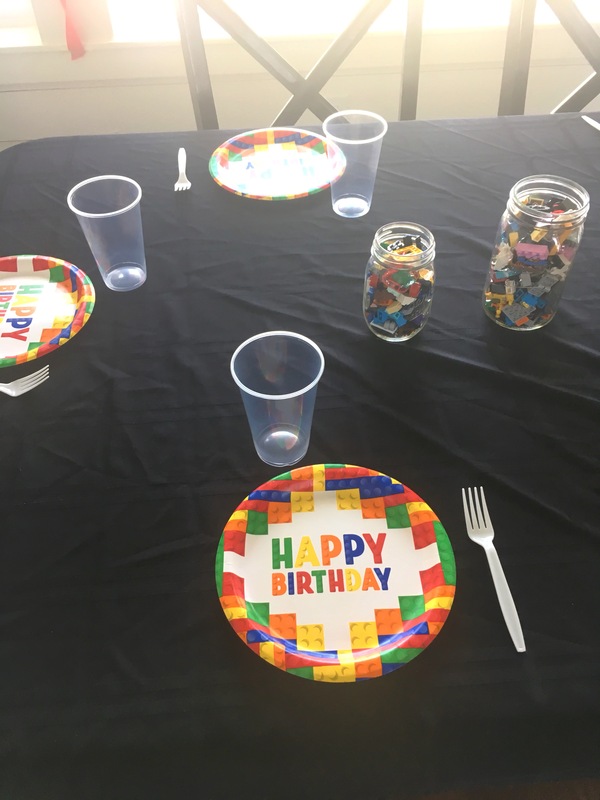 It didn’t take him long to decide that he wanted a LEGO themed birthday party with all of his friends.. 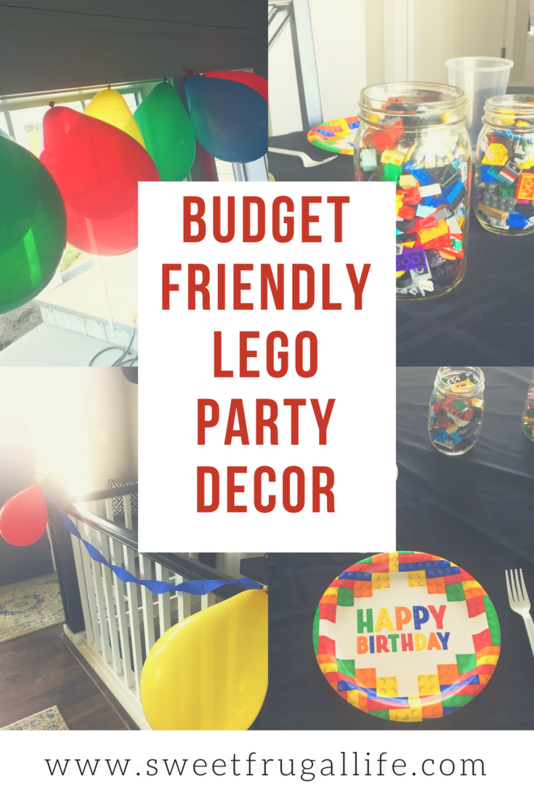 He loves all things LEGO and I was excited to make this party all come together. I wanted to give him a special birthday, but I also wanted to spend the LEAST amount of money as possible. And, I DID it! The party was a huge success, and I spent LESS than $20! I’ll break down everything that I did and each of the expenses. 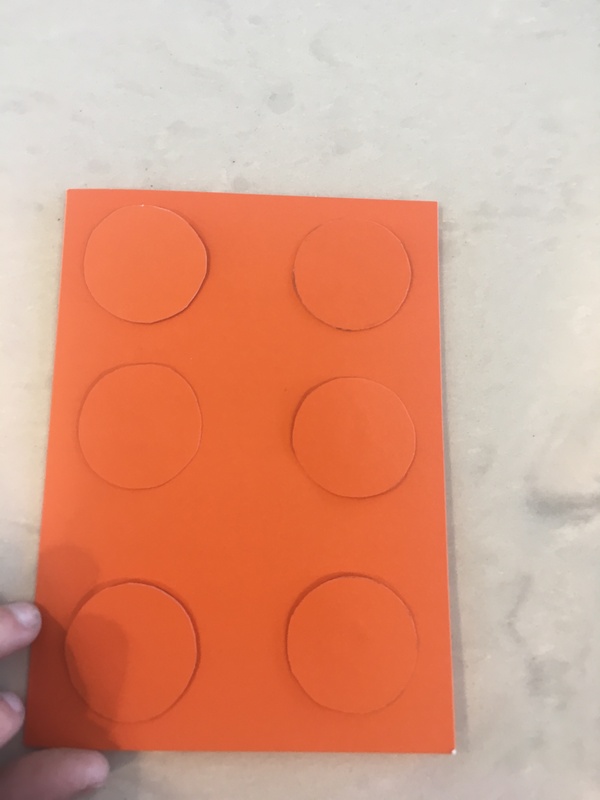 Sticking with the theme we (obviously) wanted LEGO themed invitations, and to save money I committed to only using supplies I already had at home. 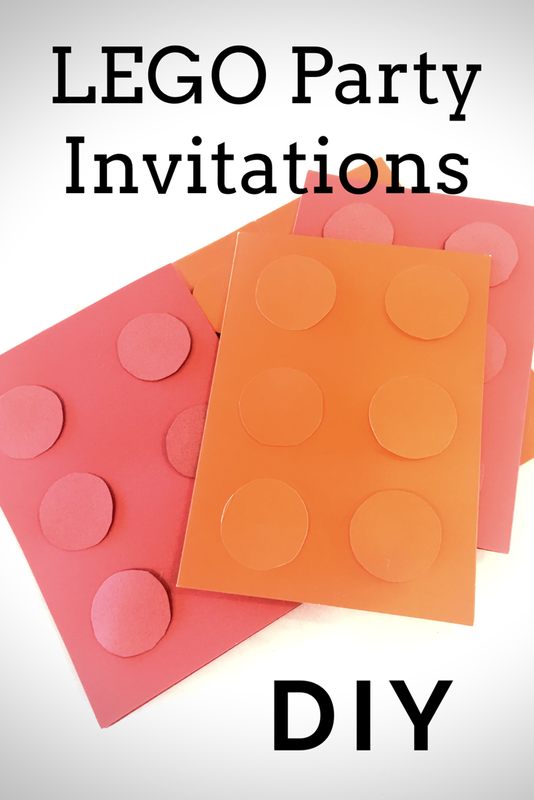 The invites were made out of red and orange card stock cut into a rectangle. 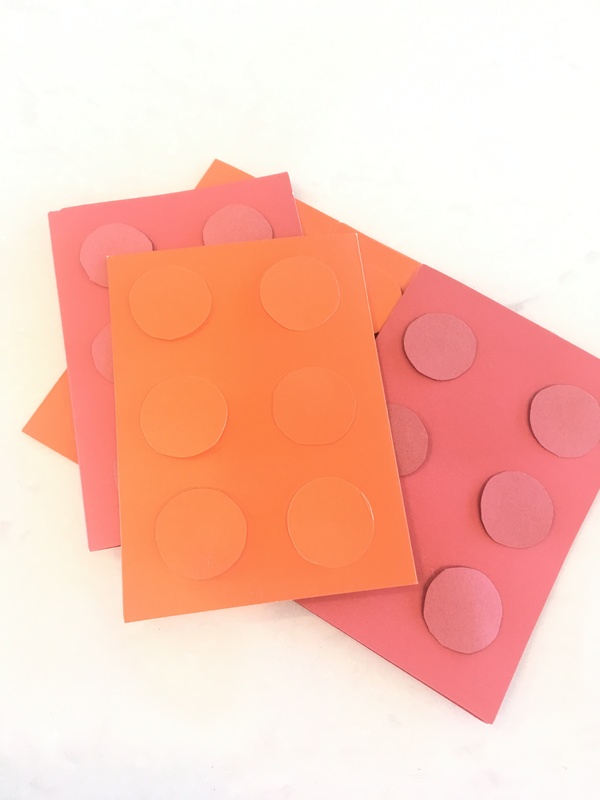 I cut out six circles per card in matching colors to glue to the front. 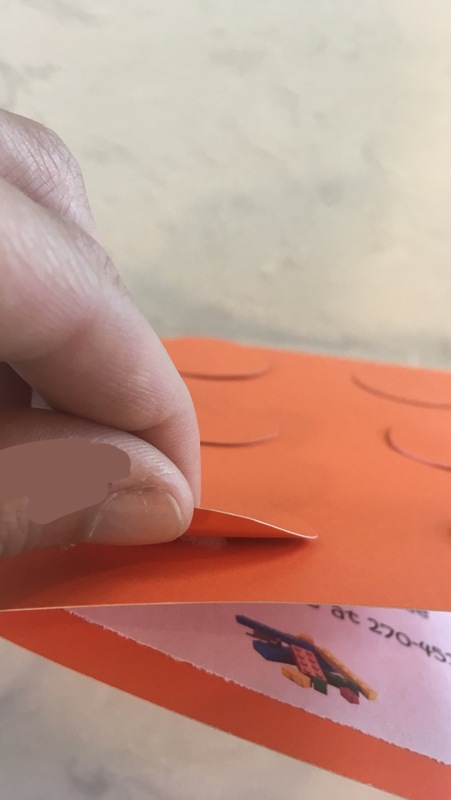 I had a little foam eraser that wasn’t being used so I cut a small circle from that and glued it under each circle. 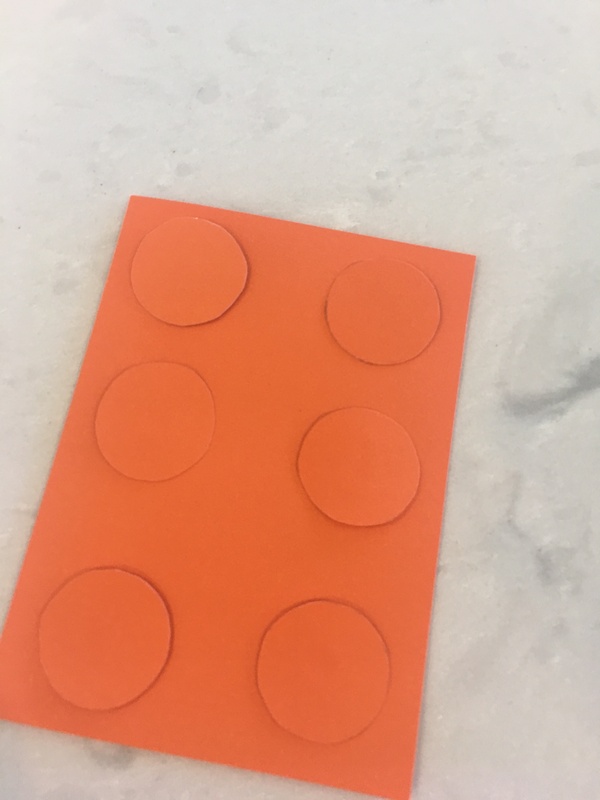 This helped the circles look a little more 3D and resemble a LEGO design. 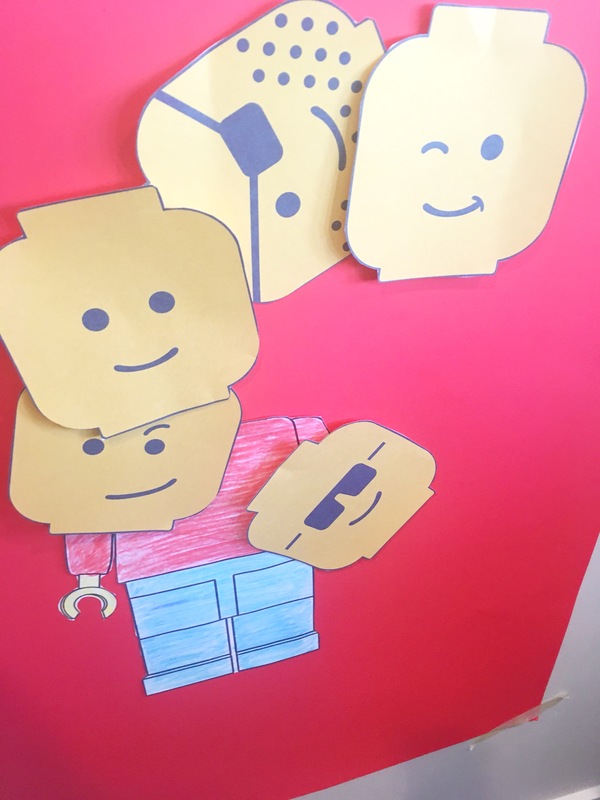 Inside the LEGO invite was just a simple typed up paper with all of the party info. It only took me a few minutes to whip it up on my computer! My son adored these invitations, and didn’t cost me any money Big win! 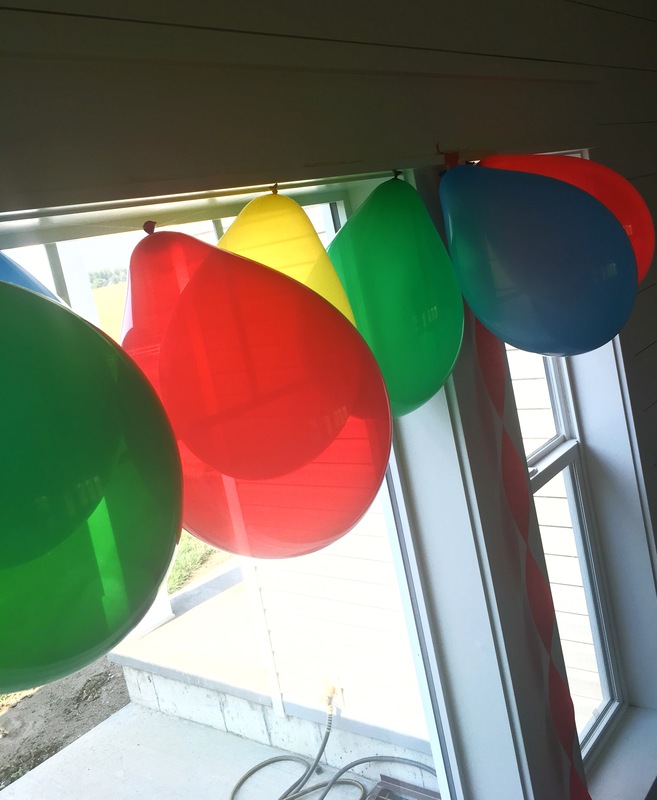 I tried to go fairly simple on the decorations (these are 6 year old boys we are talking about….I don’t think they even noticed much of the decor!). First stop is ALWAYS The Dollar Tree! While there I bought a pack of balloons and a couple rolls of streamers. 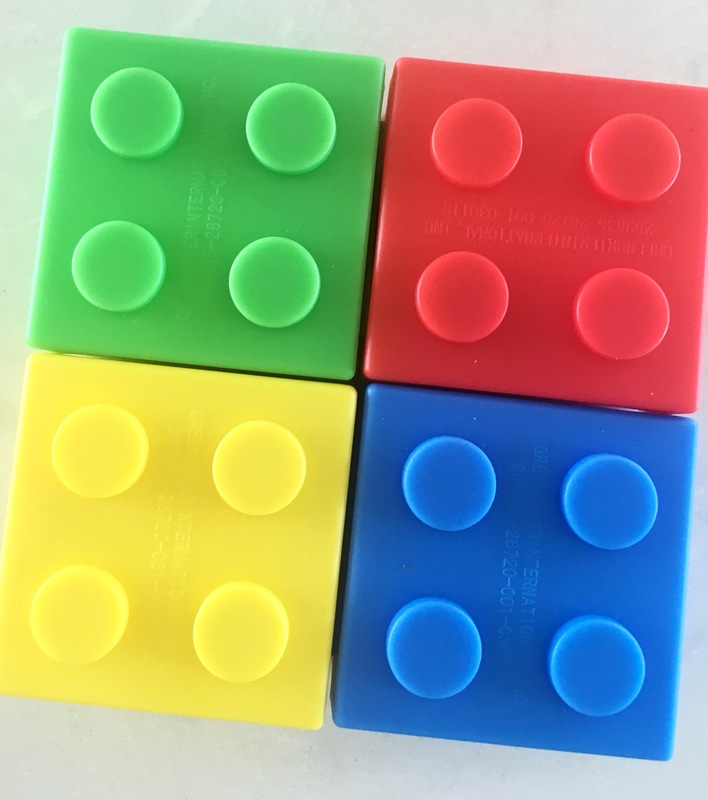 I tried to focus on the classic LEGO colors of red, yellow, green and blue. I used these items to decorate throughout the house. 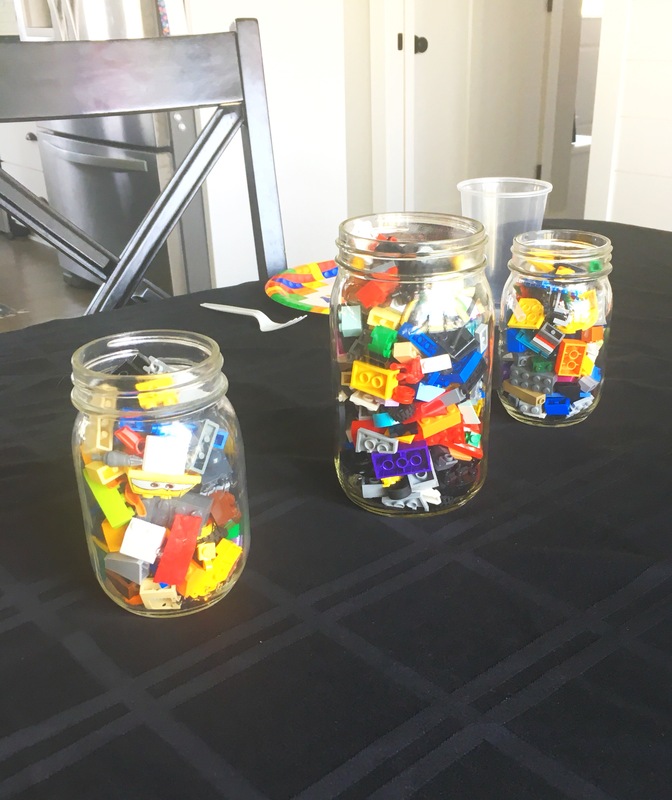 For the table center piece I grabbed a few of our mason jars from our storage room and filled them with some LEGOs from our collections. These also ended up being so fun for the kids to build with while they were waiting for me to serve the cake. The total for decorations came to only $4! To cut costs on food, I decided to have cake the only food served at the party. I made the cake from scratch, spent $2 on the frosting, and $3 for the Oreos used on top. 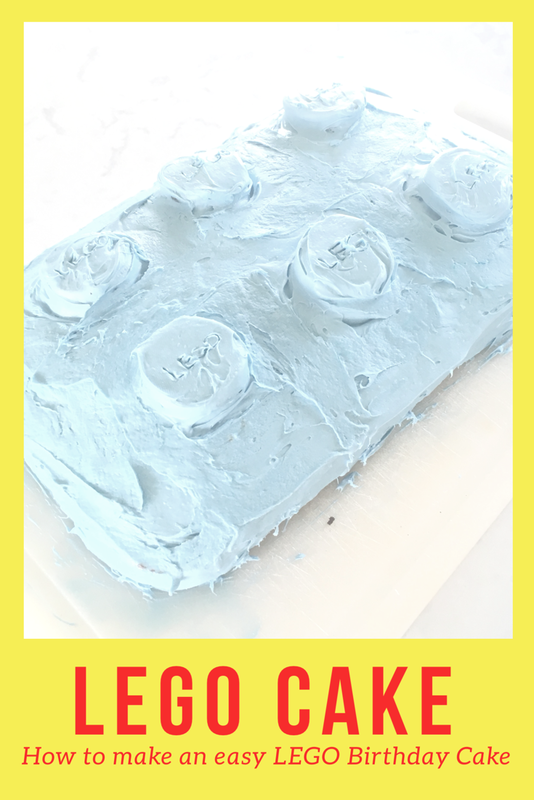 I had big goals of decorating the cake to look like a giant LEGO. 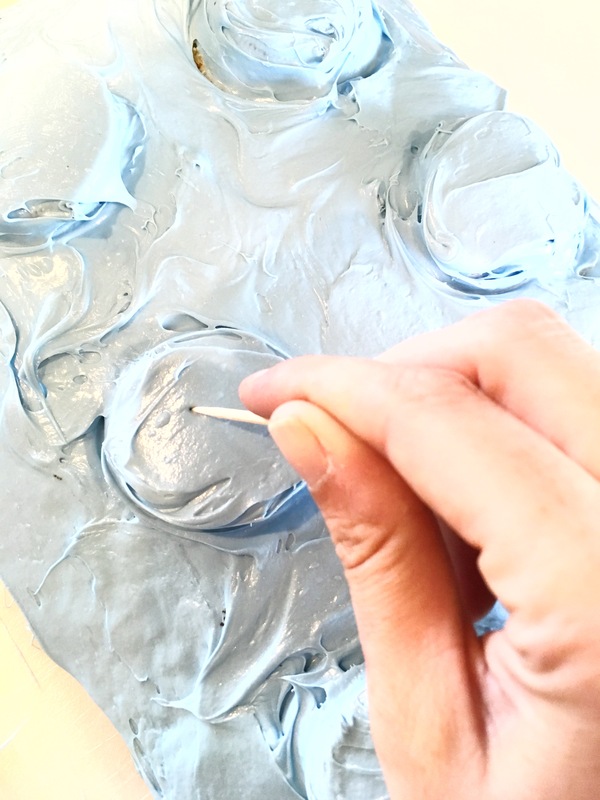 Truthfully, it didn’t turn out great…..but, my son thought it was the coolest cake ever, and that’s all that matters! The cake was so simple to make. 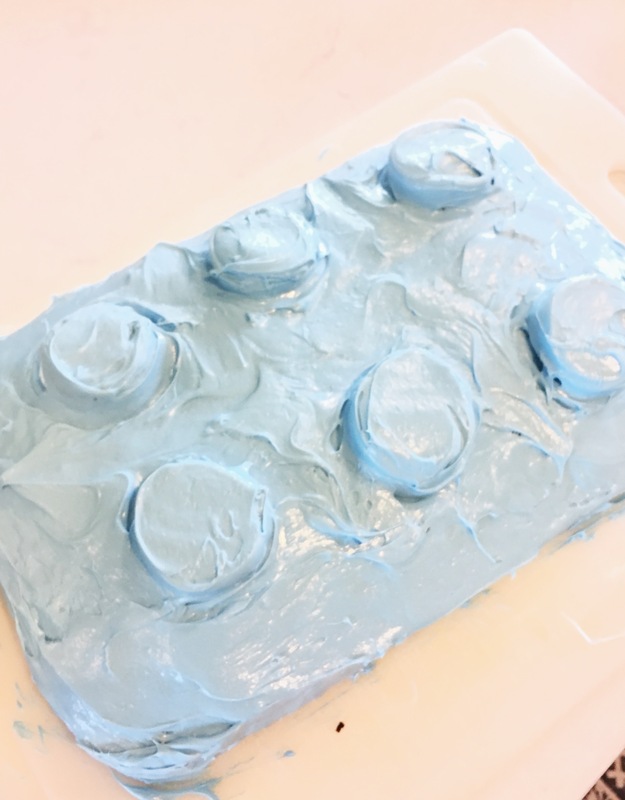 I cooked the batter in a 9×13 pan and then frosted it with blue frosting. 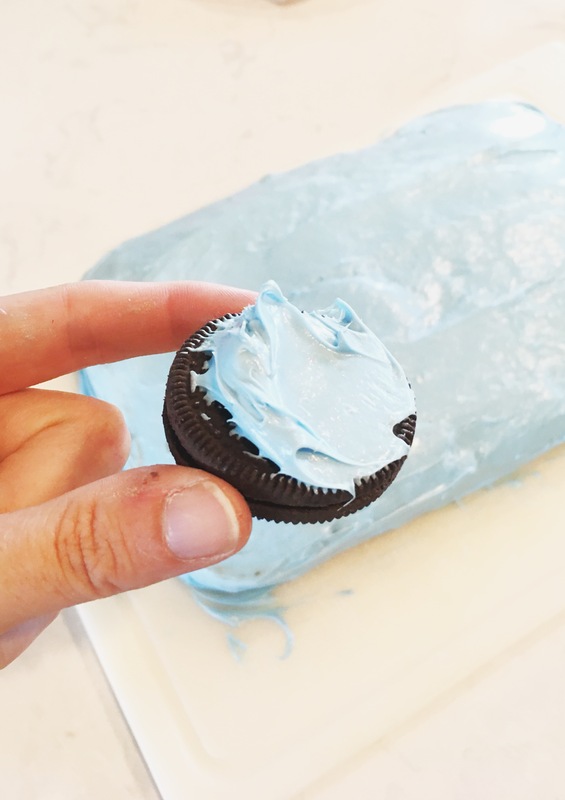 I also frosted the Oreos with the same frosting and placed them on top so that it would resemble a LEGO. My kids told me that the cake needed the word LEGO on the Oreos, so I used a toothpick to include write out the word. 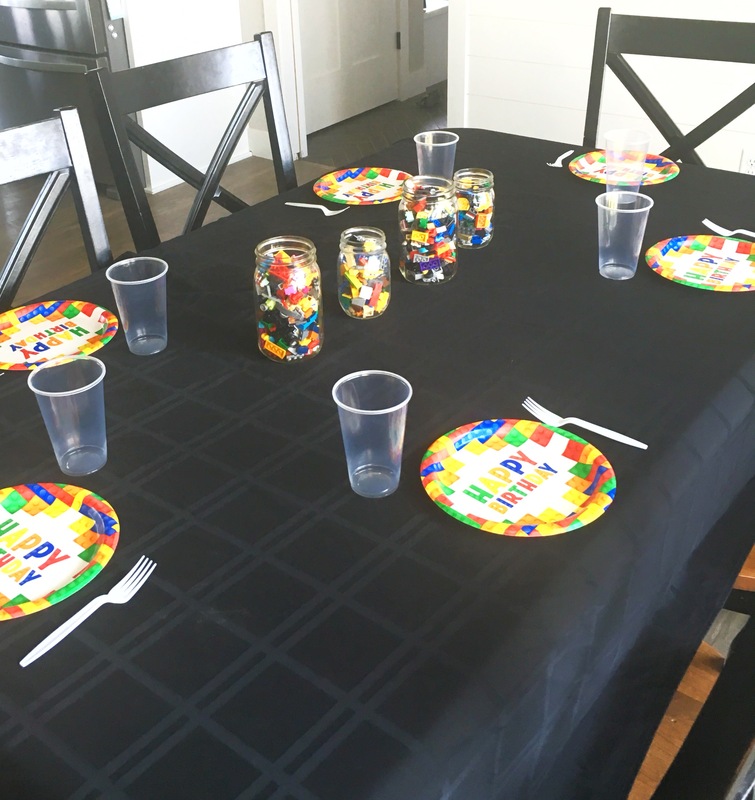 These darling LEGO themed plates were also found at The Dollar Tree (of course!). I had plastic cups and forks already at home so I used them on the table as well. I decided instead of buying a plastic tablecloth (like I usually do), that I would just use a fabric tablecloth that I already owned! It worked out perfect! Out of all the categories, I spent the most money on food. The total came to $6. 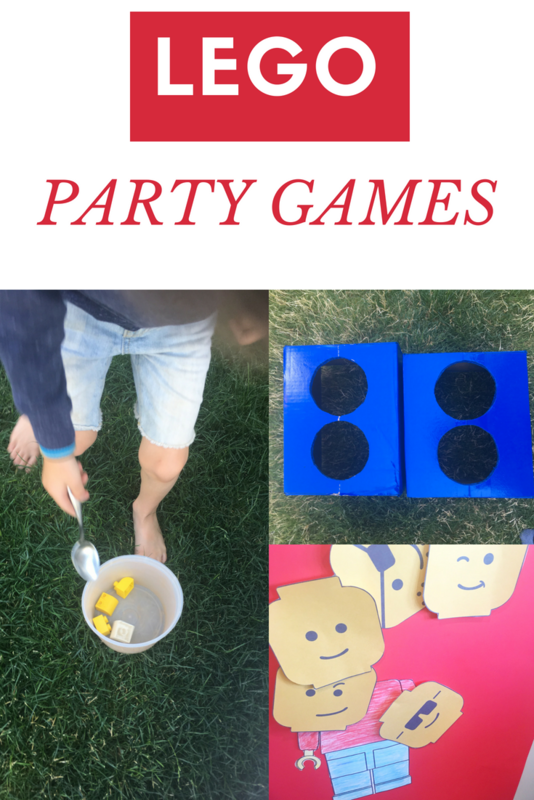 Honestly, I don’t love planning birthday party games. It always feels so stressful to me. I decided to go a little more simple and stress free this year, and it seemed to work! A plus side is simple is that also usually means less money (and I always like spending less!)! 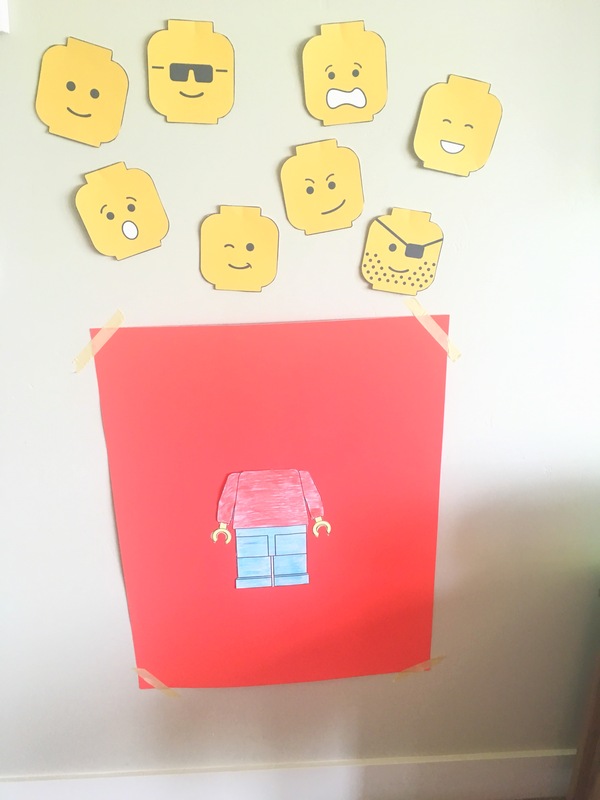 We started with “Pin the Head on the LEGO Man.” It was a huge hit! The kids loved getting to choose from the variety of fun faces. I found the printable here. 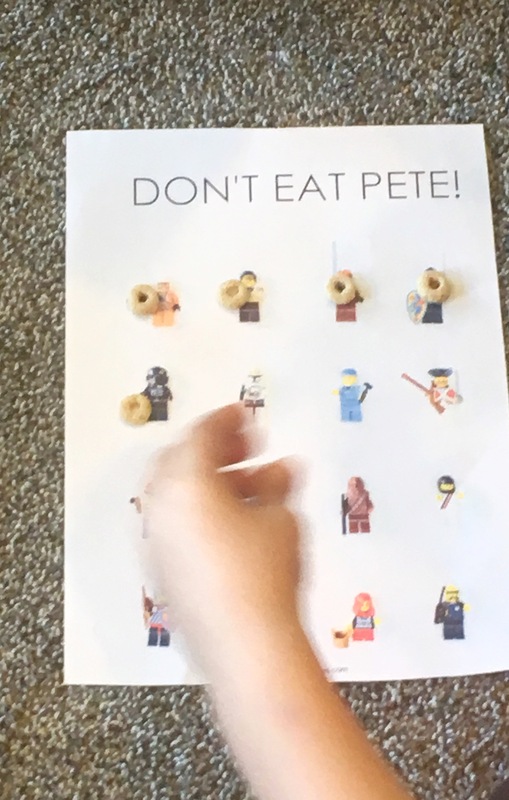 Another fun game was “Don’t Eat Pete.” The favorite part was getting to be the one to go out of the room and try not to eat Pete. We made sure everyone had a turn (or two!) and it was so fun. I found this printable here. 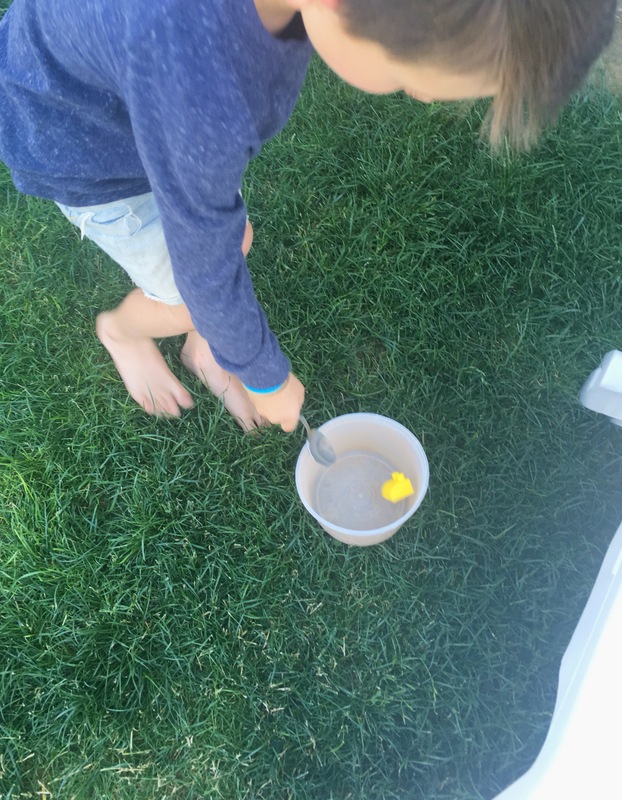 Once we found all of the LEGOs I split the kids into two teams for a LEGO on the spoon relay race! Each team was given a bucket of LEGOs and a spoon. 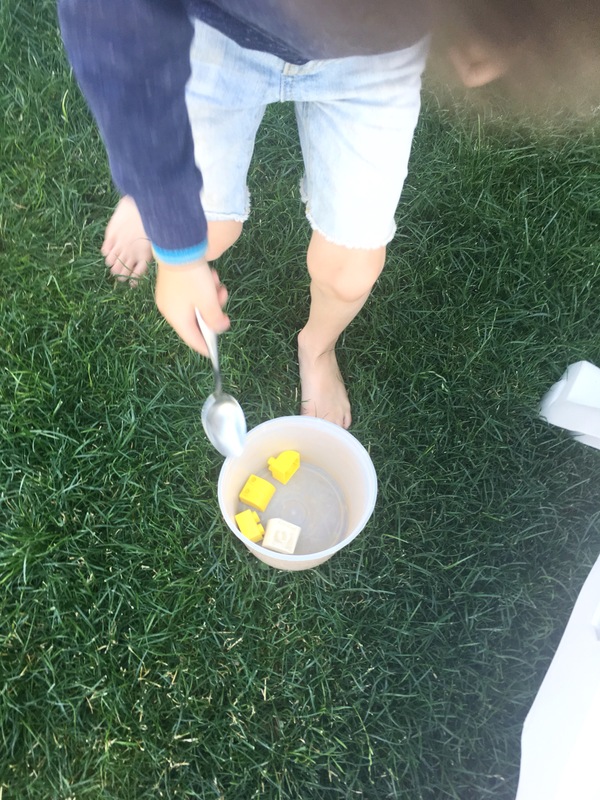 They had to walk with a LEGO on their spoon across the yard a little ways and drop their LEGO into another bucket. The first team to successfully bring all of their LEGOs across wins! It was so fun watching all those little boys trying to run fast AND balance their LEGO! Our last game was probably the favorite! I spray painted two boxes (I bought the spray paint for $2), and then cut two holes in each box. The kids had to stand at some tape I put on the ground and try to throw a ball into one of the holes. This was a little hard for most of the kids, which created a fun challenge. 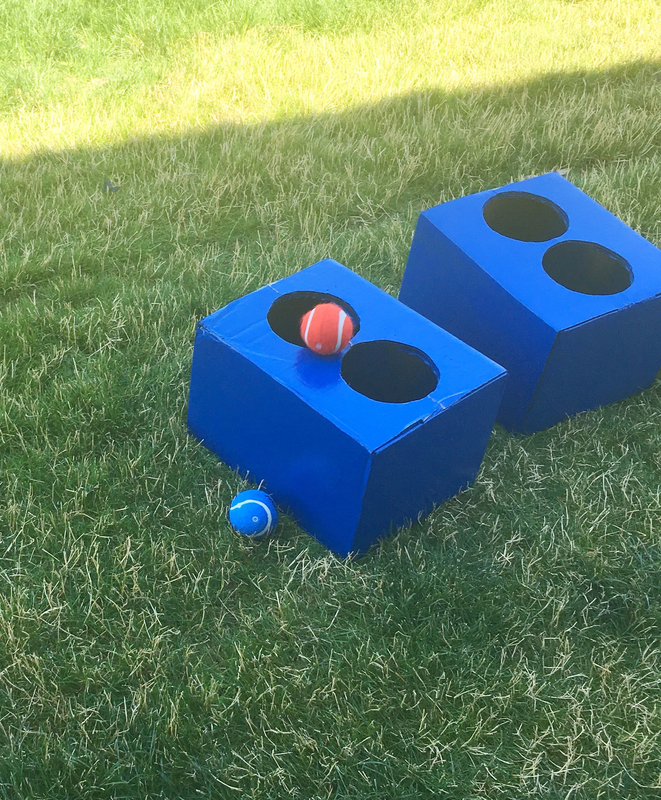 They wanted to play this game for a few rounds to try to get the ball in each of the holes. I have decided simple really is the best way to go! I was A LOT less stressed this time and I only spent a total of $2 for all of the games! 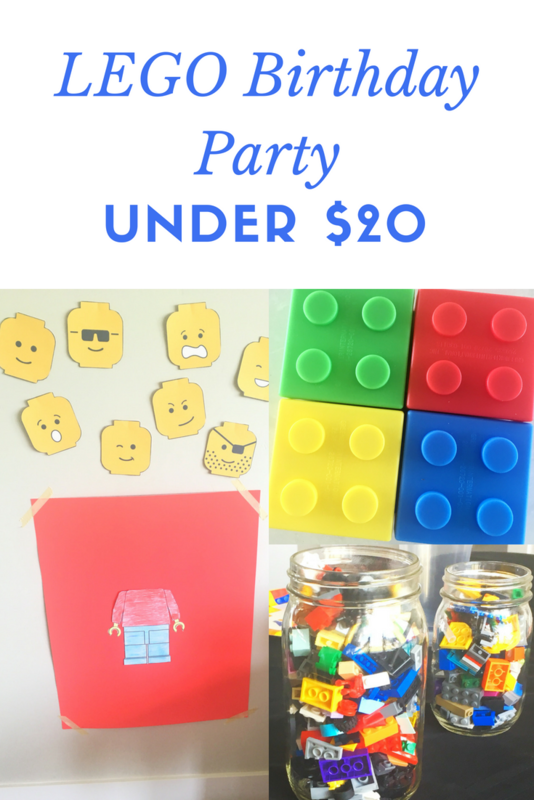 I really struggled trying to come up with a cute yet frugal LEGO themed party favor. I was THRILLED when I found these cute little LEGO boxes at The Dollar Tree. They came in a pack of 4 for $1, so I bought 2 packs. I also bought three packs of Starbursts for $1 each. 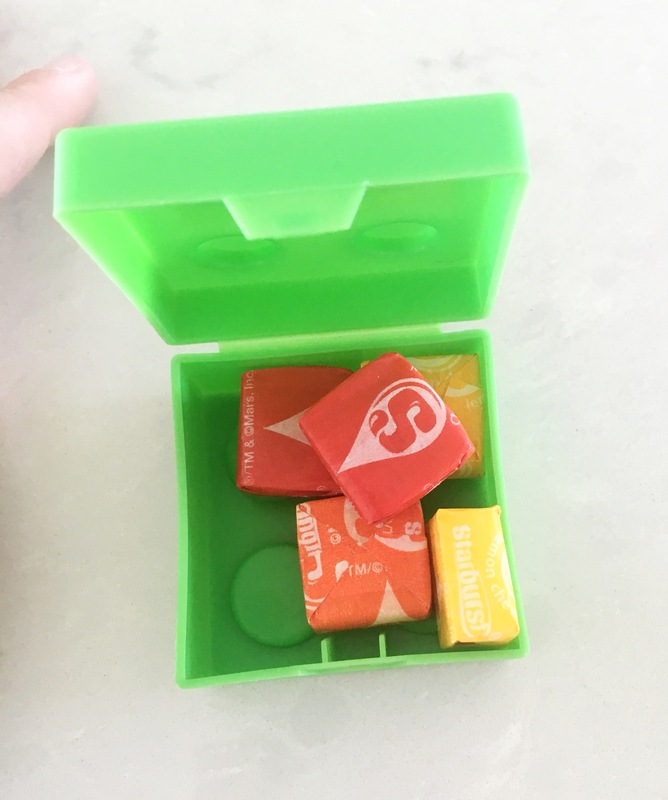 I filled each of the boxes with a few pieces of Starbursts candy and the kids LOVED them! I thought the candy would be the hit, but the favorite was definitely having their very own little box. It ended up being the PERFECT favor, and I only spent $5! In total I spent $17! I was so thrilled that I was able to pull this party off without having to spent a lot of money. 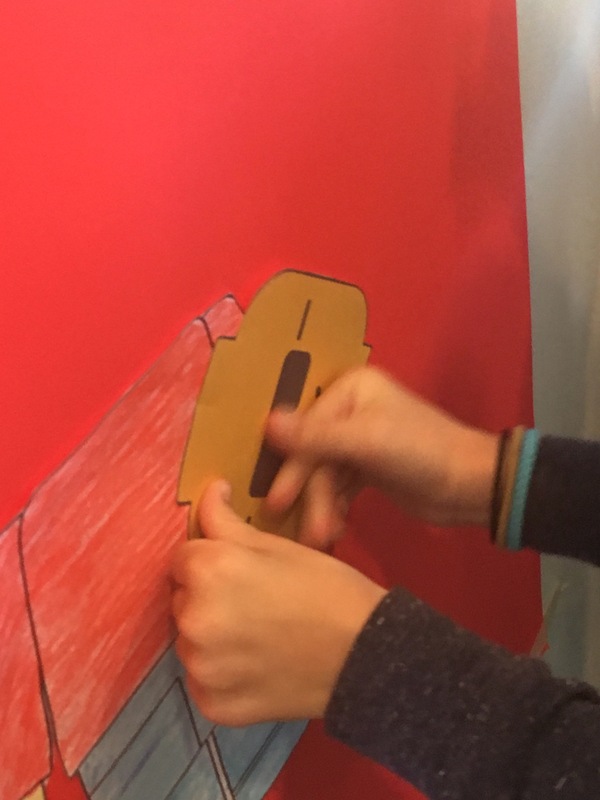 I’ve realized that kids REALLY don’t care how extravagant the party is….all my son wanted was to have a few friends over, blow out candles on his birthday cake, and open a few presents. He didn’t notice that the party was all done on a very small budget. All he noticed was that his family and friends were taking the time to show him some love. And you know what….THAT is ALL that matters! Vety cute ideas! Birthdays are always so expensive. They really are so expensive!